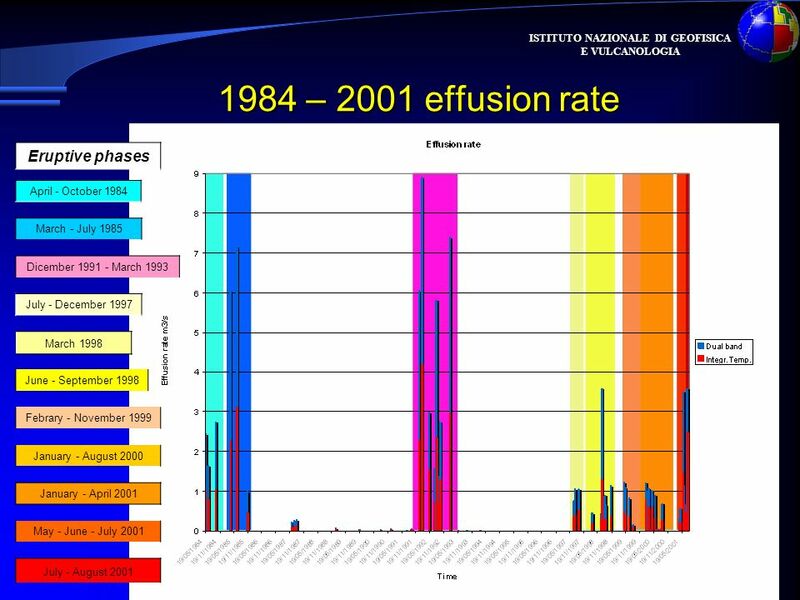 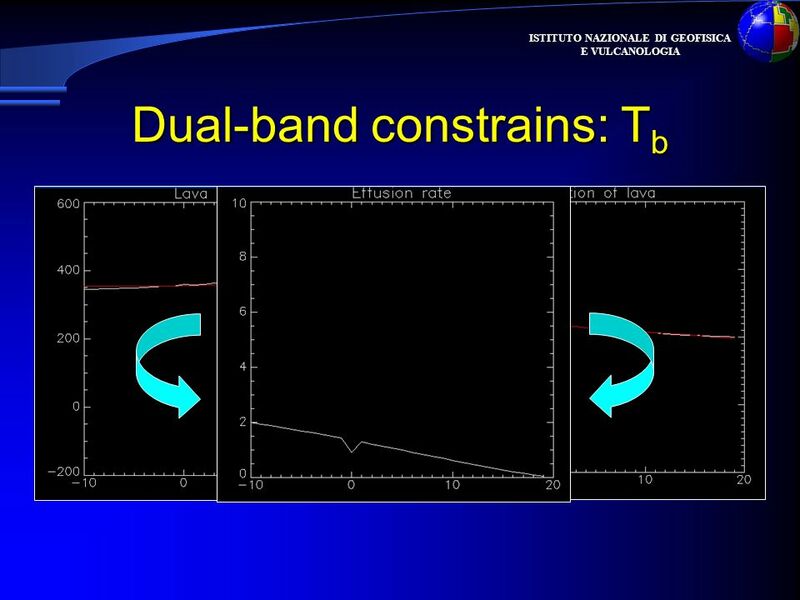 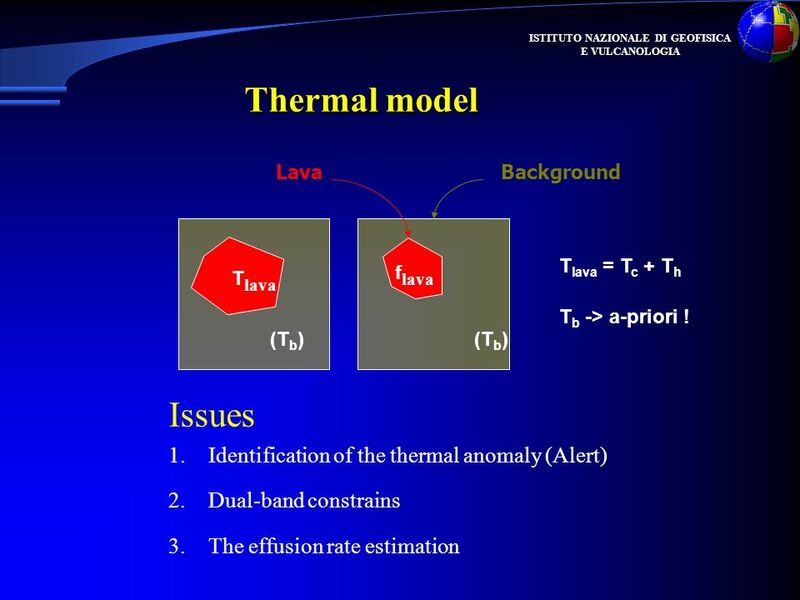 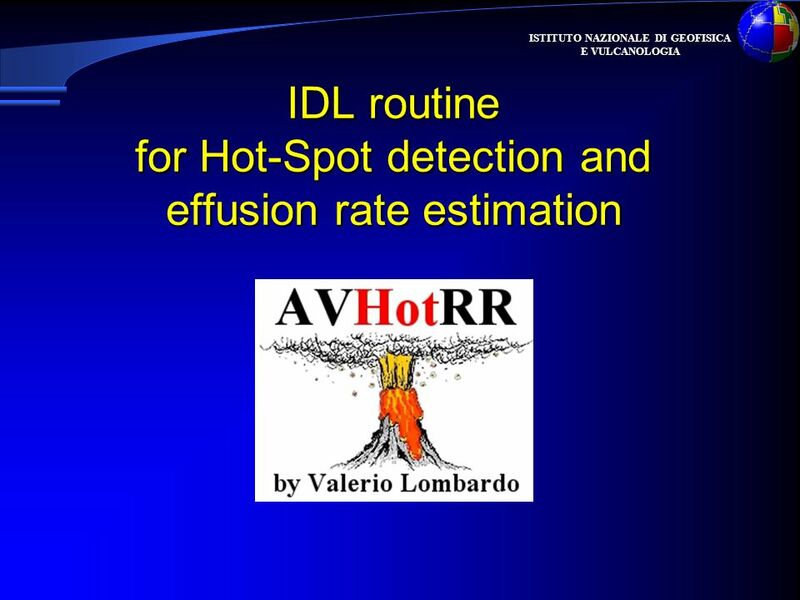 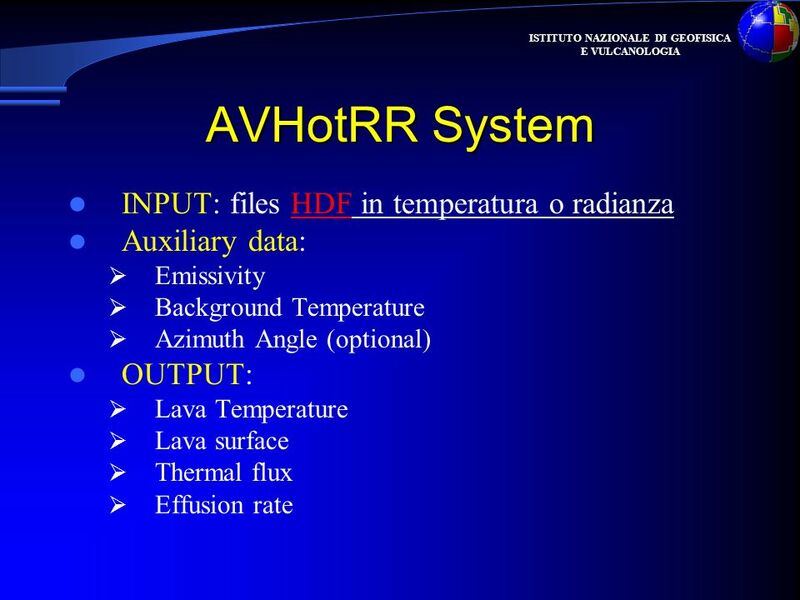 4 ISTITUTO NAZIONALE DI GEOFISICA E VULCANOLOGIA (T b ) LavaBackground Thermal model 1.Identification of the thermal anomaly (Alert) 2.Dual-band constrains 3.The effusion rate estimation Issues T lava T lava = T c + T h f lava T b -> a-priori ! 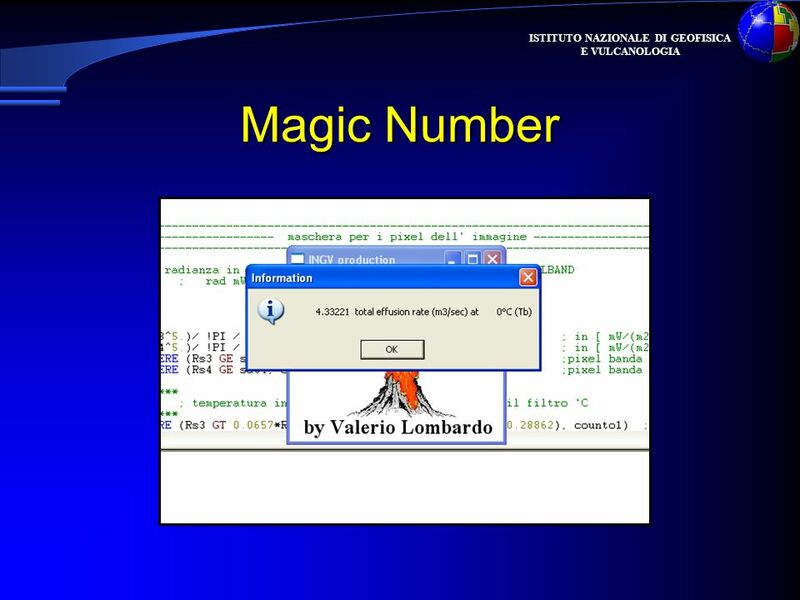 10 ISTITUTO NAZIONALE DI GEOFISICA E VULCANOLOGIA In Progress… Validazione algoritmo su serie storiche (servono molte immagini in formato HDF!) 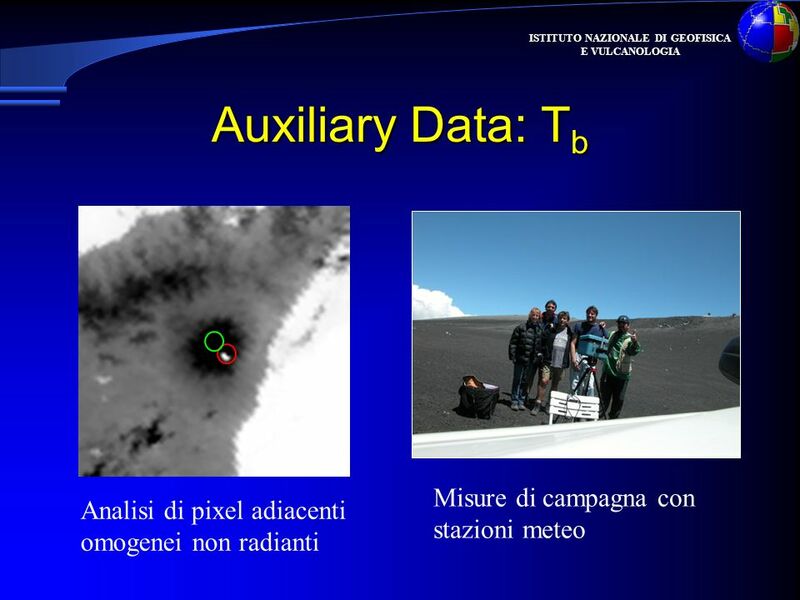 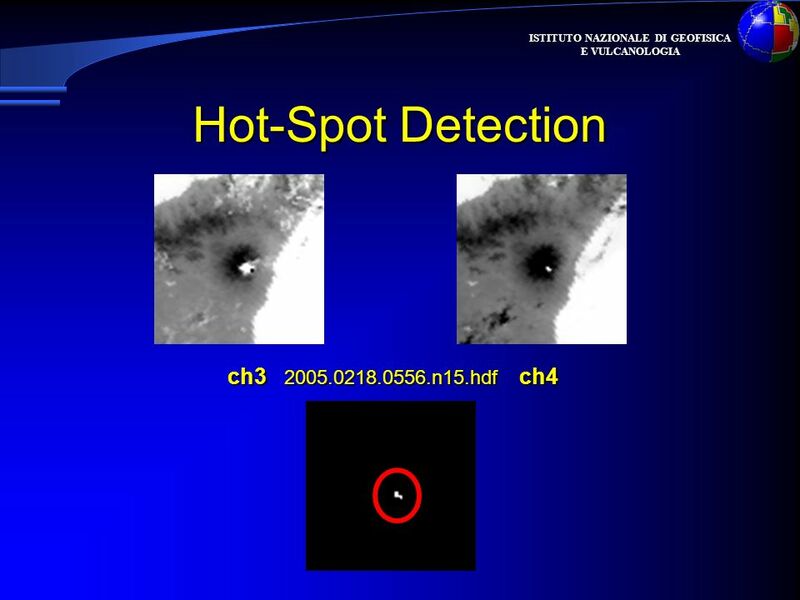 Miglioramento tecnica sub-pixel Cloud detection x immagini notturne (optionale) AVHRR Manager: testato su eMule…..
Scaricare ppt "ISTITUTO NAZIONALE DI GEOFISICA E VULCANOLOGIA IDL routine for Hot-Spot detection and effusion rate estimation."